There was a time when most people would have thought that phenomena with names such as the Aeropress or the Chemex were highly advanced gadgets related to secret NASA-projects rather than coffee brewing methods. However, over the last ten years, both of these have become staples and commonly recommended, just one step below their more famous cousins, the French press, and the moka pot. However, these contraptions are distinct from all the other brewing devices out there and offer their own pros and cons. Both brew a fantastic cup of coffee that can impress even the most exacting barista, but in very different ways. In this evening’s top match we line up two top contenders to see if we can find a clear winner. Get ready to rumble! The Chemex employs an infusion technique, which makes it a pour over. In infusion, hot water is continuously poured through a bed of coffee grounds sitting on top of a filter. In the case of the Chemex, it is their proprietary paper filter. This requires constant attention during the pour, as even saturation of the grounds is necessary for a tasty brew. 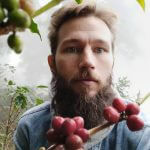 A novice home barista might cause water to run continuously down one section of the brewing bed in what is called “channeling” which will create an uneven cup of coffee. Infusions are more effective at extracting coffee compounds since the continuous stream of pure water can extract at maximum capacity. Grind size and uniformity is even more important with pour over. Coffee that has too many fines can end up clogging the filter. Winner: I personally like infusion more than immersion. But the Aeropress is so versatile that I will have to give it a slight edge here. 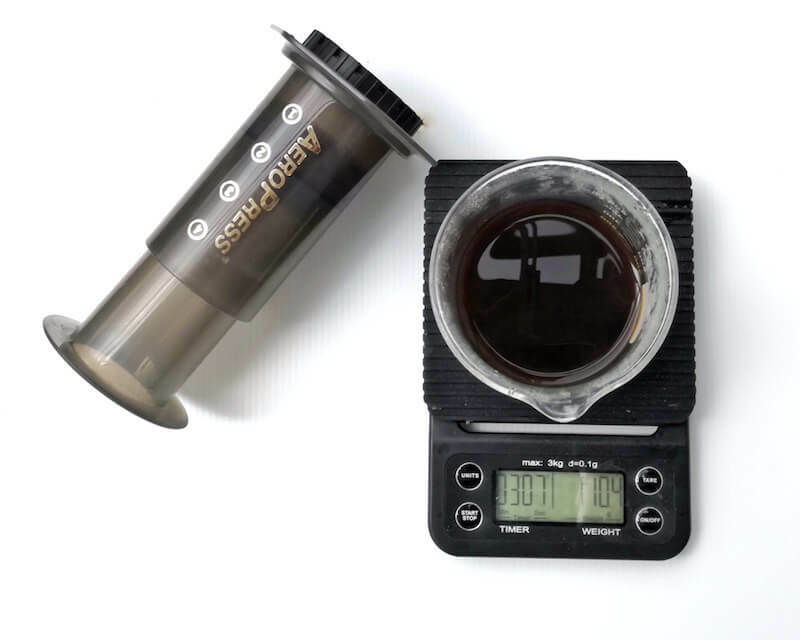 The Aeropress only comes in one size, optimized for a single cup of coffee at a time. This can be a significant disadvantage if you anticipate having to brew for groups regularly. The maximum recommended volume of coffee is about 12oz, but then you are seriously stretching the limits. It will require a large dose of coffee and bypassed water to get a decent brew. 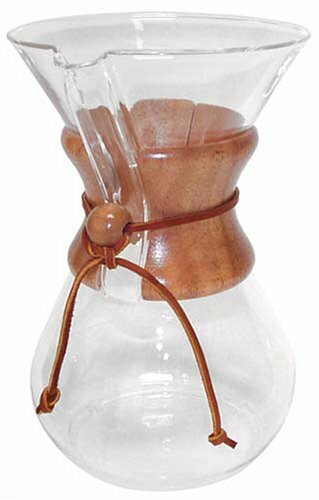 The Chemex has a much more straightforward design and is, therefore, able to be manufactured in a variety of sizes. The technique does not vary with higher volumes, so it is relatively easy to scale up for a group. Winner: KO for The Chemex! The massive upside of the Aeropress is that there are so many ways to brew it. As an immersion method, you can let it steep how long you want. You also have the option of brewing it inverted or regular and use either a paper or metal filter. As such, it’s hard to talk about any ‘Aeropress’ flavor per se. Be sure to read my big post on the Aeropress if you want to learn about all these lesser-known brewing tricks and tweaks. The Chemex employs an excellent paper filter as well as the infusion method of brewing and produces one of the cleanest cups of coffee possible. The thick paper filter makes sure that particulates stay out of your coffee. This allows for the appreciation of fruitiness or acidity that is present in more complex coffees. There is only that much you can do with a Chemex. But that is both a strong side as well as a weakness because the standard is pretty damn high. Winner: This one is a draw! The Aeropress is almost indestructible. The main body is constructed from polypropylene and can be dropped with little fear of shattering. 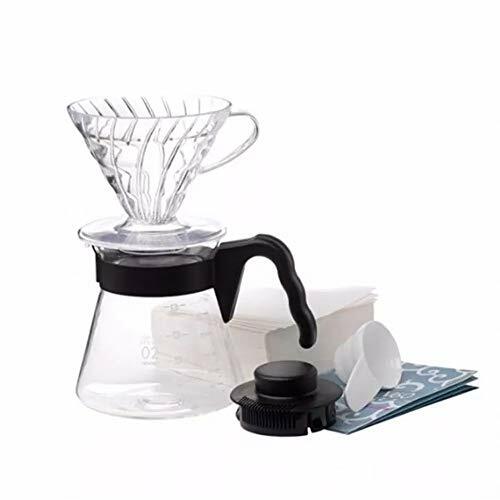 Its tubular shape also makes packing it away in a backpack or a suitcase much easier than with a Chemex. It can easily slide into the side of a backpack when traveling. The newest generations of the brewer, in fact, comes with a cute little travel bag. The main body of the Chemex is made of glass, and so is relatively fragile, especially when compared to the Aeropress. Its beautiful shape is classic and looks stunning on a kitchen counter, but is not ideal for packing away for travel. Furthermore, dropping it on the floor will almost certainly shatter it completely. The Chemex is not a brewing device meant for travel! 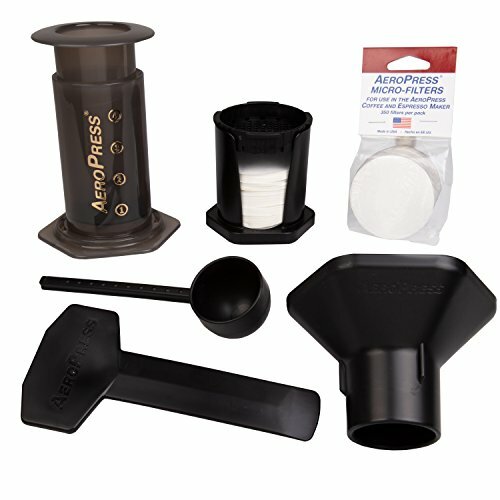 Winner: The Aeropress takes the one without breaking a sweat! While the Aeropress and Chemex employ utterly different brewing techniques, the Hario V60 and the Chemex are much more similar. So how do we choose between them? There are some benefits and disadvantages to both. The Chemex has one of the best paper filters in the coffee world and makes one of the cleanest cups of coffee. Because of this, it is also much more forgiving of bad pouring technique than is the Hario v60, which can sometimes be finicky. As mentioned above, the Chemex also comes in a variety of sizes, which can allow for a range of volumes of coffee depending on the size of the group. The Hario V60 is the Chemex’ closest comparison. In contrast to the “hourglass” shape of the Chemex, the Japanese pour over cone is a simple device that is placed on top of your mug or range server. It’s smaller and infinitely more portable – especially if you opt for the plastic or metal version. The filters that come with the Hario V60 are thinner than the Chemex’ and allow for more particles and oils to pass through. Depending on preference, this may be an advantage or a disadvantage. But I should mention that most of the worlds’ barista elite have already made their choice. At the last many international top competitions for brewers, the winners have utilized the Hario V60. I like both devices, but to me, it seems that the Hario V60 is a more versatile choice if you often brew a single cup. The Chemex seems more suitable for the home barista who often has a group of friends over. Both have beautiful minimalist designs so that one is a draw. 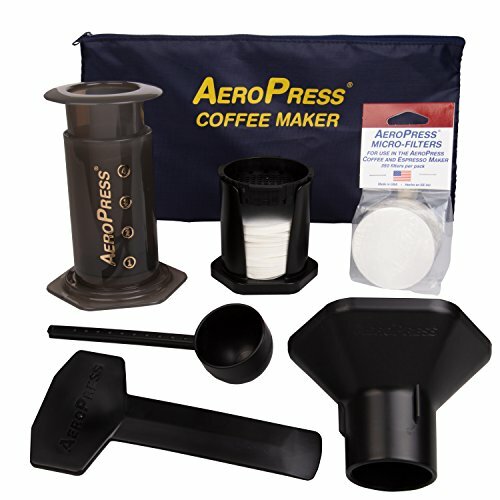 The Aeropress is excellent for people who are brewing for only one person. The most prominent disadvantage of the Aeropress is that it just comes in one size and can only brew up to 12 oz of coffee at a time. This drawback is entirely irrelevant if you are only brewing one cup at a time. The flavor profiles of coffee brewed with an Aeropress are much more variable than those of the Chemex. These additional possibilities allow for much more experimentation with parameters such as water temperature, coffee to water ratio, and immersion time. The thinner paper filters also produce a thicker, more full-bodied cup of coffee that can even be made to resemble espresso. 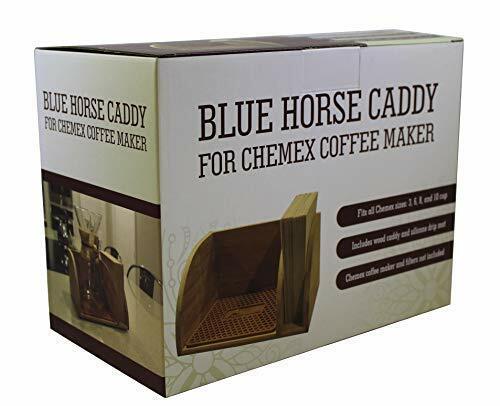 It is also perfect for those who travel often and would like high-quality coffee to take with them. Who should go for the Chemex? The Chemex is a classic brewing method that produces a delicate cup of coffee, deserving of its subtle and classic design. It is indeed a conversation starter, perfect for groups of people and having company over. Concerning the coffee produced, the Chemex makes sure that your cup is extremely clean, allowing for the full expression of the subtle flavors of a pour over.